Melissa Groo is a wildlife photographer, writer, and conservationist with a passion for educating people about the marvels of the natural world. She believes that photography can be both fine art and a powerful vehicle for storytelling, and considers herself a “wildlife biographer” as much as a wildlife photographer. It is her hope that her images will help raise awareness about not only the extrinsic beauty of animals, but also their intrinsic worth. Her photographs have been published in Smithsonian, Audubon, Outdoor Photographer, Birdwatching, National Wildlife, Living Bird, Nature’s Best, Montana Outdoors, and New York State Conservationist Magazine. Melissa has received awards and honorable mentions in national and international photography competitions, including Audubon (Grand Prize winner 2015), Nature’s Best, NANPA (North American Nature Photography Association), Festival de L’Oiseau, Birds as Art, the HBW World Bird Photo Contest, and Nature Photographer Magazine. Her prize winning photograph hangs in The Smithsonian Museum of Natural History. 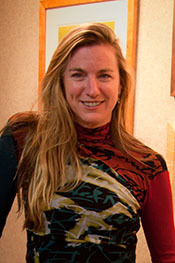 She is the wildlife photography columnist for Outdoor Photographer magazine, a contributor to Wild Planet magazine, and a member of NANPA’s Ethics Committee, and Conservation Photography Task Force. She is on the faculty of the Summit Series of Photography Workshops and Hog Island Audubon Camp. Her work is steeped in real science. Melissa worked for many years at the Cornell Lab of Ornithology, on elephant communication in their Bioacoustics Research Program. She was a research assistant for scientist Katy Payne on The Elephant Listening Project, and spent field seasons in the rainforest of central Africa studying forest elephants in the wild, where she learned to listen deeply and watch closely. 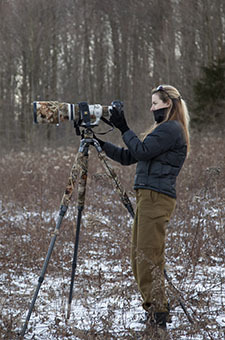 Melissa is a consultant for the National Audubon Society on issues relating to photography content. 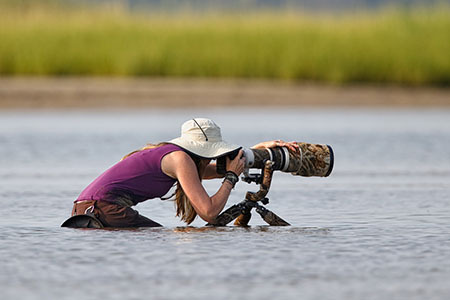 She created Audubon’s Guide for Ethical Bird Photography with Kenn Kaufman, and she has advised National Wildlife Magazine and NANPA on guidelines for ethical photography.